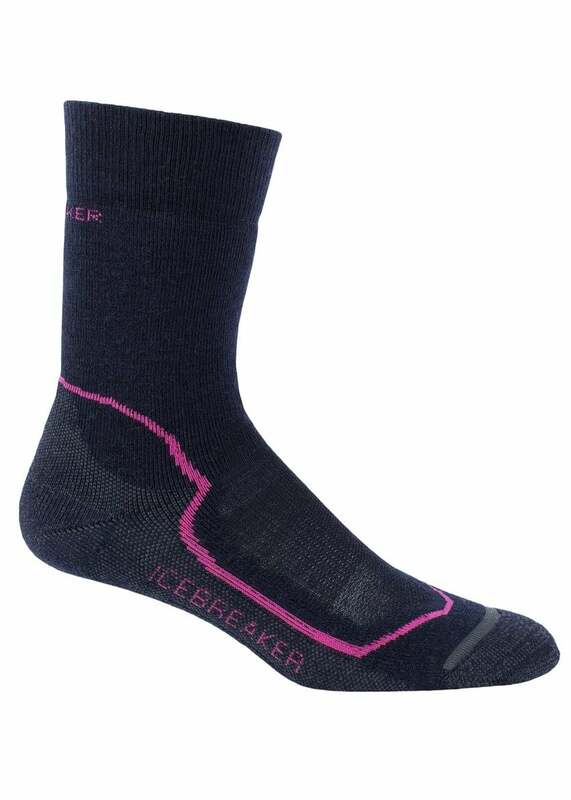 The Icebreaker Hike+ Medium Crew socks are a medium weight durable sock with outstanding thermal regulation and moisture management. The Icebreaker Hike+ Medium Crew socks are a medium weight durable sock with outstanding thermal regulation and moisture management. These socks are also anatomically sculptured and with their medium cushioning and warmth, the Medium Crew socks are ideal for hikes all year round.